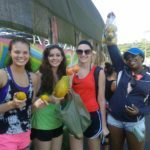 Our organization partners with three local public schools, two children’s day centers and a soup kitchen. The families from these communities live below the poverty line and struggle to cover their basic necessities. These centers and schools provide meals, counseling, care and education to children from these families. Our primary goal with our volunteer activities is to encourage the kids to stay in school, as the drop-out rate is very high in these neighborhoods. These schools and centers have very limited funds to cover a large amount of maintenance needs for their facilities. With the help of committed teams of volunteers we have been able to offer assistance with many maintenance and renovation projects such as painting classrooms, furniture and more. The kids have benefited from cleaner, friendlier, and more fun schools and centers. 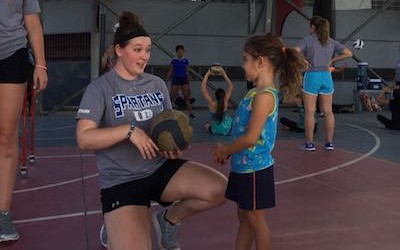 The volleyball teams have also enjoyed playing sports and educational activities with the children where they have been able to serve as role models for these kids. The children light up when the volunteers arrive and it always turns out to be a highlight for the volleyball teams. This opportunity is available for teams that do not have the time in their itinerary to take on an entire maintenance project but that would like to spend time getting to know the children. The team will spend a couple of hours with the children from one of the centers. They may play volleyball with them, play with them on the playground, read stories to them, and sing and dance with them. 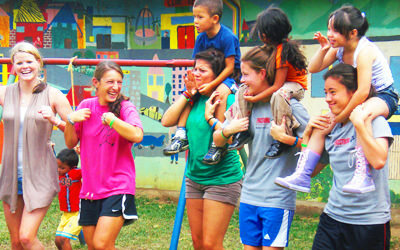 The main goal with these activities is for the volunteers to make the kids feel special! This opportunity is for teams that would like to dedicate half a day or an entire day to improve the facilities at one of the centers. The team may paint classrooms and desks for the children of one of the local public schools of the community of Pavas. The team will also be able to spend time and play with the children. One option is for the team to do an arts and crafts workshop with the children. 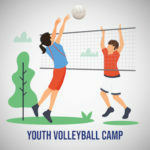 The team will join youth players from a poor area of Pavas for a half-day clinic to practice some volleyball drills and play a friendly game together. These children love volleyball and have a passion for the game but, in most cases, their families do not have the funds to pay for volleyball classes or training.